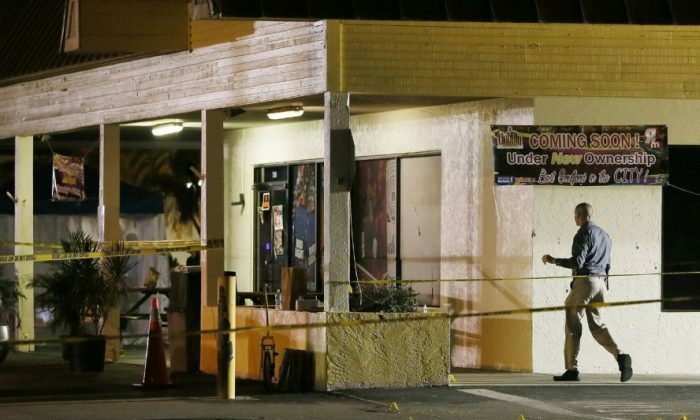 At least two people were killed and at least 20 people were injured in a nightclub parking lot shooting at Fort Myers, Florida, according to local media reports. The shooting occurred at 12:30 a.m. local time at Club Blu. Victims as young as 12 years old were hospitalized. One person died at the hospital, WINK News reported. At least three people are currently in custody, police said. The two killed were Sean Archilles, 14, and Stef’an Strawder, 18. “There was nothing more we could of done [as] you see it was not kids at the party that did this despicable act. Our condolences to all parties involved,” Club Blu stated. Fort Myers Police said the shooting is not terror-related. Gov. Rick Scott said he is heading to Fort Myers and is offering any assistance needed from the state level. One woman who lives near the club described the incident on Facebook, saying that she heard about 30 shots from several guns. “It was unbelievable,” she said, adding that when she arrived, people were crying and screaming as ambulances arrived. A woman told the News-Press that an acquaintance, Sean Archilles, was shot and killed. The club was holding a “Swimsuit Glow Party” event for teens, according to a poster on its Facebook feed. Anyone with information regarding the case is urged to contact the Fort Meyers Police Department on 321-7700. Or call Crime Stoppers at 1-800-780-TIPS. The Fort Myers Police Department has learned that a few of the victims who had sustained minor injuries left the hospital before speaking to police, the department said in a statement.